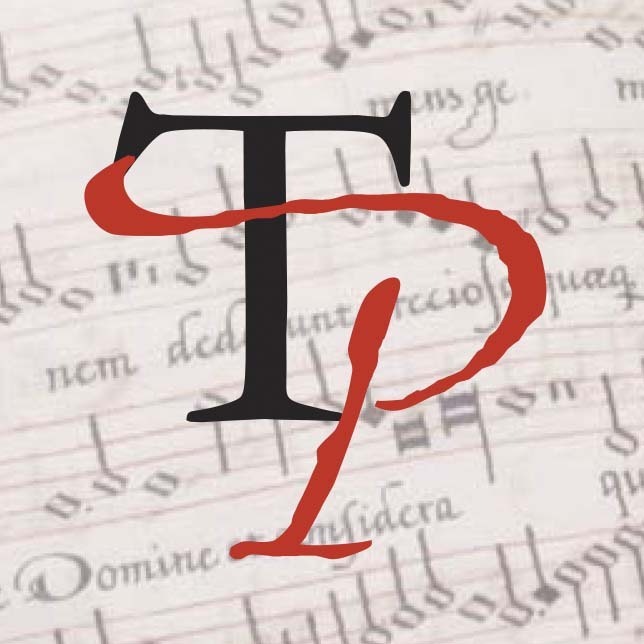 Find out about the Tudor Partbooks project’s plan to restore the sixteenth-century musical partbooks of John Sadler and how you might get involved. 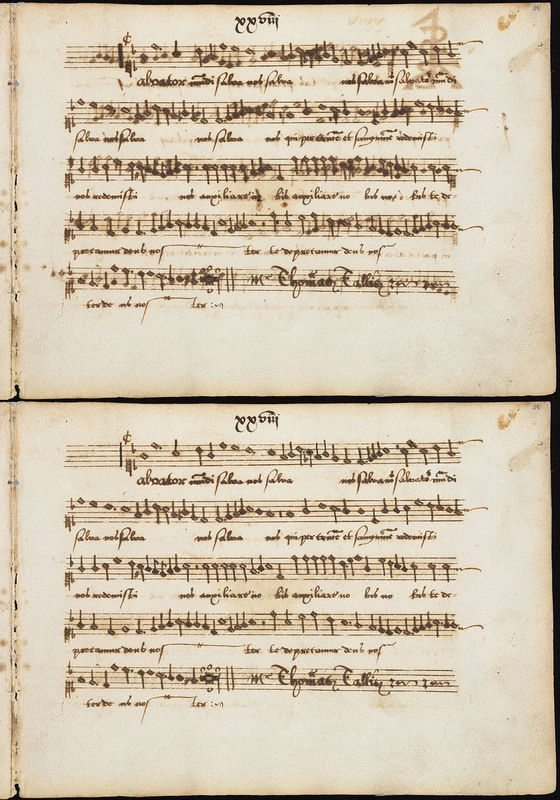 In c.1565-85 John Sadler, a clergyman and schoolmaster from Oundle, copied a beautiful set of five musical partbooks (GB-Ob: Mus.e.1-5) decorated with colourful inscriptions and pictures. Unfortunately his ink was too acidic, causing it to burn through the paper. This has left the music difficult to read and books so fragile that the Bodleian library is unable to let people look at them in person. We’re producing a digitally restored facsimile edition of the Sadler partbooks that will make their contents available to scholars, students and early music performers after many years of obscurity. Above: original image provided by the Bodleian library (MS.Mus.e.1, fol.35v). Below: restored image created by the Tudor Partbooks team. We’re using the ‘Clone Stamp’ tool from Adobe Photoshop. Using this we paste clear areas of manuscript over the show-through or sharp note-heads over smudged ones. ‌This image above shows the original photograph provided by the Bodleian library above (Mus.e.1, fol.35v) with the restored image provided by the Tudor Partbooks team below. It’s a time-consuming process with pages like this taking 6-8 hours (though thankfully not all are this bad!). Nevertheless we have 565 images to restore, estimated to take c.3000 hours! As a result we’re looking for some volunteers. If you fancy having a go, email me. You’d need to be able to attend some intial training in Oxford, but after that you will be able to work remotely. Music reading ability is important but technical skills can be taught. Look out for my next blog post on the Sadler restoration project, which will consider some of the ethical issues concerning restoration that are arising as we work. Fins out more about the Tudor Partbooks project, its research aims and events on the website or follow us on Facebook or Twitter. The Tudor Partbooks project will also be holding an extensive series of events, which have already begun. Dr Julia Craig-McFeely led our first seminar on the digital restoration of manuscripts. If you missed it, she’s repeating it on 12 February (3:30pm, Oxford Music Faculty). Entitled ‘Digital Restoration for Beginners: Is this for me and how would I get started?’, it’s an opportunity to find out what digital reconstruction entails, what can be achieved through the process, and how to get started. Register by 1 February by emailing me. In March we’re holding the first of our workshops on editing and reconstructing the missing Baldwin partbook. Sessions on editing Tudor polyphony and completing missing parts will be led by Magnus Williamson, Owen Rees, Andrew Johnstone and John Milsom. Singers from Contrapunctus will participate on Friday afternoon, trying out editorial solutions and providing the singers’ perspective. Register for some or all of this weekend by 31 January here. On the Saturday evening (7 March) there’s also be a concert of music from the Baldwin Partbooks, performed by Contrapunctus (Queen’s College Chapel,7:30pm, tickets available here). More events for April, May and July are already in the planning stages (details to follow soon). In the meantime we’re starting the task of creating detailed inventories for every partbook in our image collection.